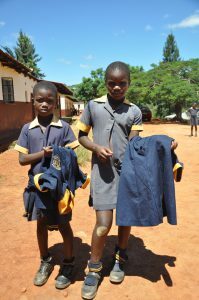 This project consists in distributing school uniforms for disadvantaged children in Southern Africa (South Africa, Swaziland, Zimbabwe). Designing Hope has a 13 years field experience in these three countries. Southern Africa is indeed one of the HIV & AIDS most affected areas in the world. The situation is improving, especially through better distribution of treatment, but many people died in the last 2 decades, and AIDS orphans are very numerous. This project is dedicated to these vulnerable children. They are very vulnerable children. They are supported by their extended families that often can not afford to properly fund their education. In fact, the school system in Southern Africa is very expensive for families, who must take charge of tuition, books and school uniform, which is mandatory. Therefore these children often wear second hand uniforms that they get from an older brother, sister or cousin, and that is torn, patched or not even repairable at all. Uniform, that is supposed to eliminate social differences among children, has an opposite effect. 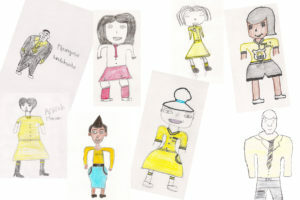 These children are rejected by others because of their appearance, at an age when children are very tough toward each others.